“Bons” is THE gentleman that all the ladies can't help but adore! Cuter than a button and the perfect size. 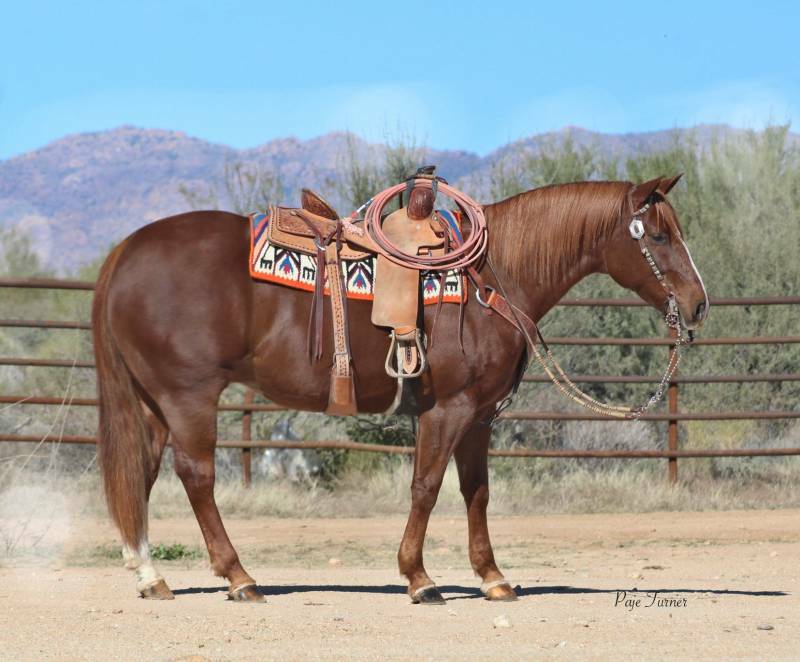 Bons takes after his sire Palo Duro Cat; having trained five of his brothers I can guarantee the bloodlines are dependable, talented and gentle. We are certain no matter your riding style, Bons will suit you. Having exposed him to so many situations, he takes all in stride, including laying him off for weeks at a time. No worries. Broke, but not too broke for the inexperienced, he comes with all the bells and whistles. Spins, Stops, and lopes so smoothly in the palm of your hand. When its time to get something done on the ranch or speed events, he steps up his game and throttles right to the chore. A finished heel and breakaway horse who has also been headed on. Ready to take to the mounted shootings, he is a “shot dog” when under fire. 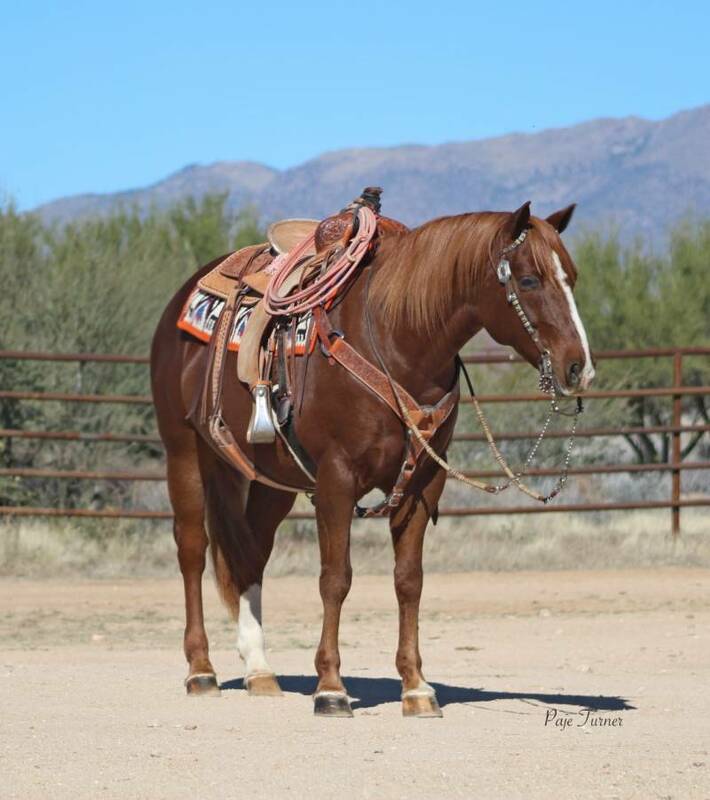 Bons can certainly take you to the winners circle in the ranch riding and versatility classes that are so popular today. He's even had a little time playing cowboy polo as well. On trail rides, Bons is a complete veteran, crosses water, bridges, logs and flies kites! As we said, not sure you will find a more solid-versatile gelding who is extremely fancy. Guaranteed sound and gentle. UTD on dental, worming and farrier. 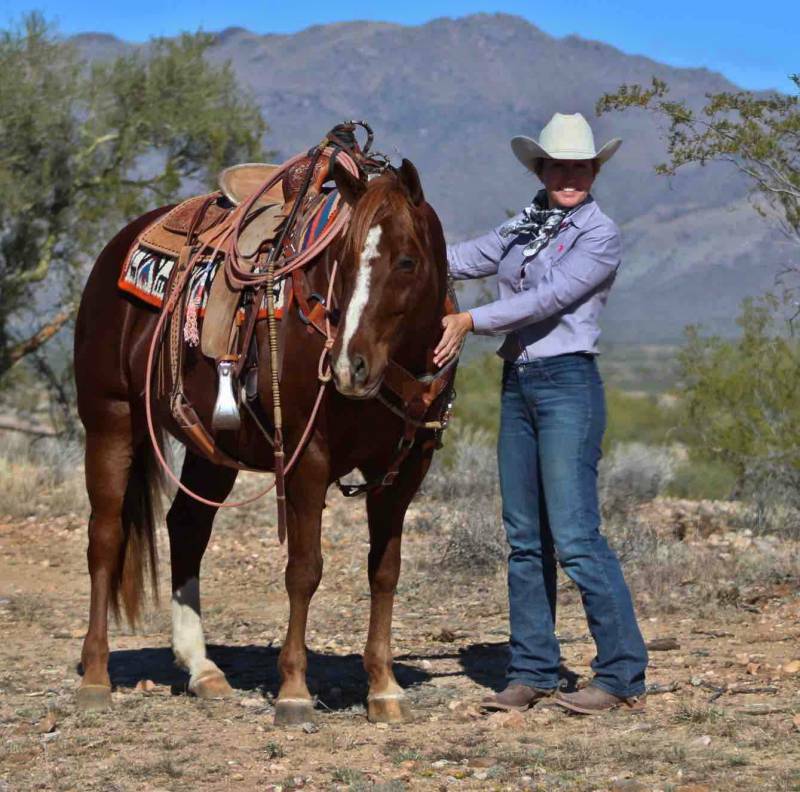 Bons can be see at the above listed events around Arizona this winter and of course your more than welcome to come and try Bons at the ranch in Wickenburg.